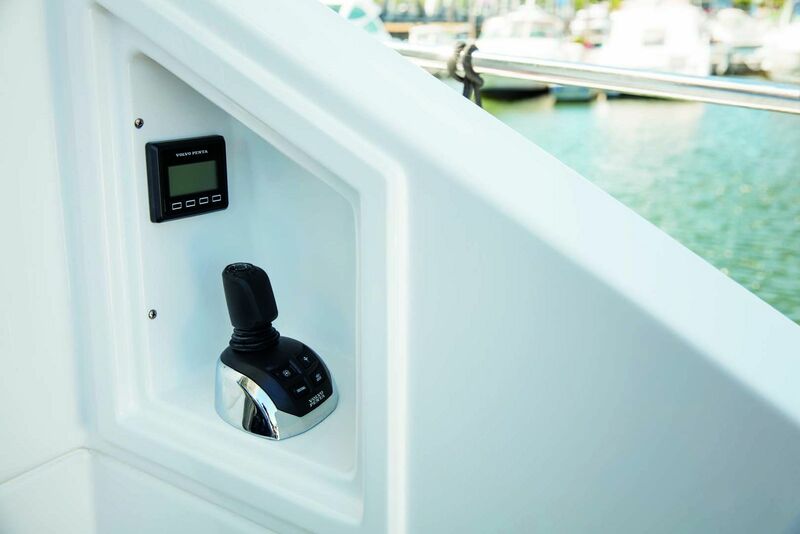 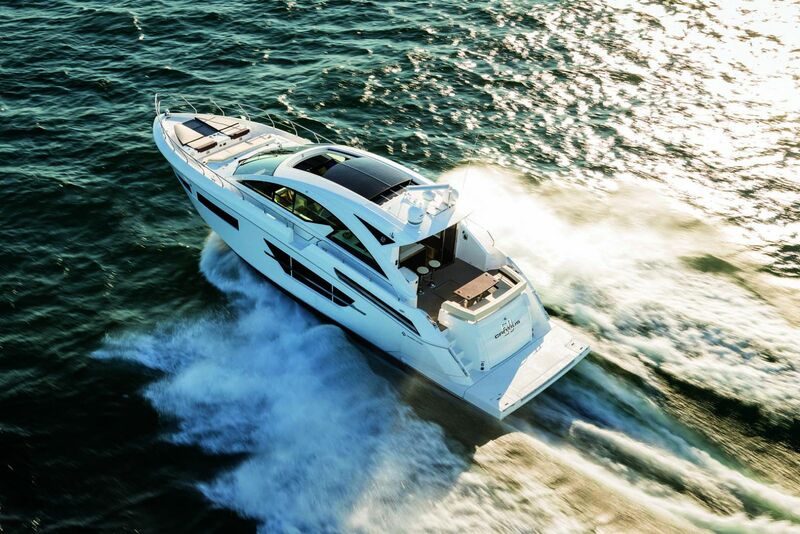 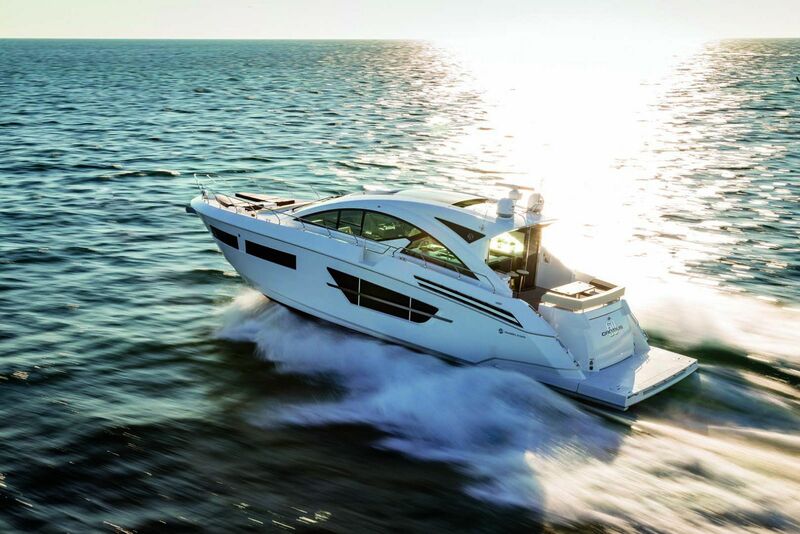 If you dream is cruising to beautiful destinations behind powerful engines and the all the comforts of a luxury home, the Cruisers Yachts 60 Cantius can provide you with the means to achieve it. 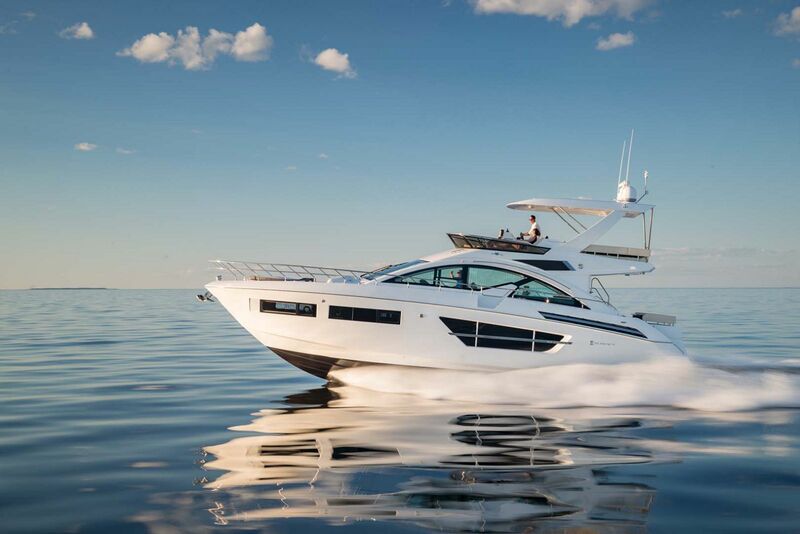 Built for both daytime entertaining and overnight journeys, the 60 Cantius offers everything you need to enjoy your time on the water. 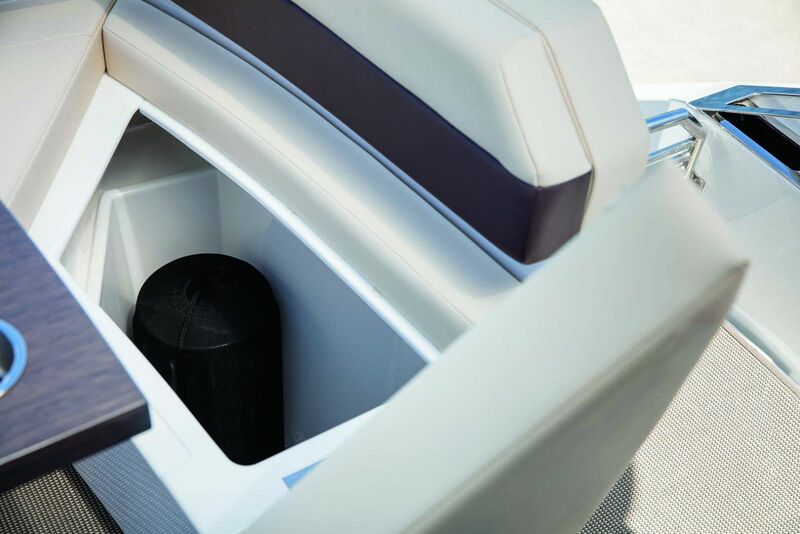 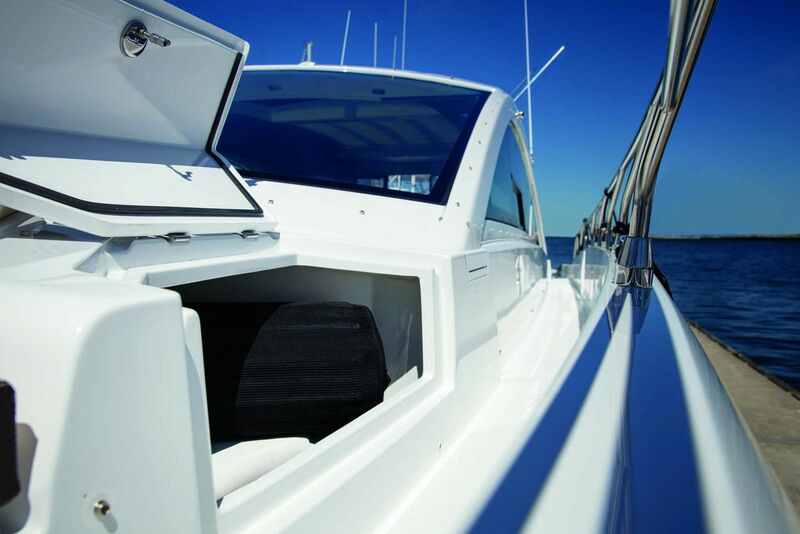 Elegant details line the interior while innovative designs like the powered aft cockpit window enhance your boating experience. 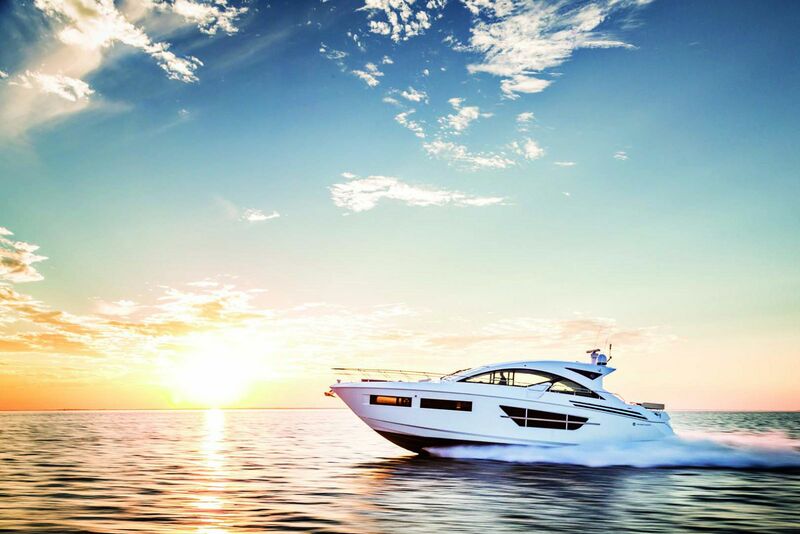 The 60 Cantius is as modern and sleek of an express cruiser that you will find built today. 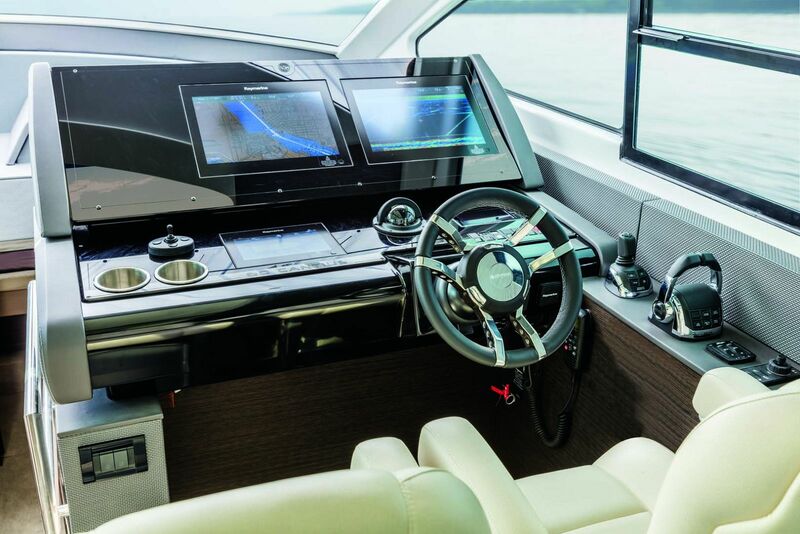 And while the Euro-styling of the exterior lines and interior design is appealing, owners will take pride in that this is an American-built yacht with mostly American components on board. 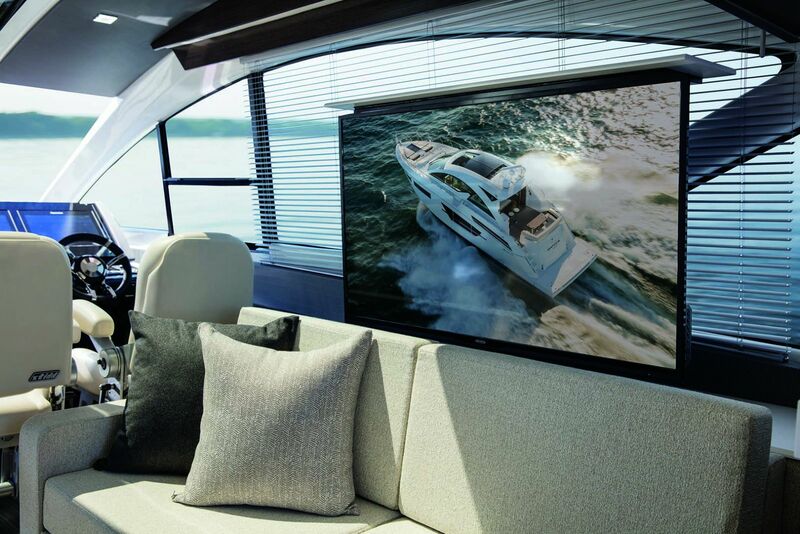 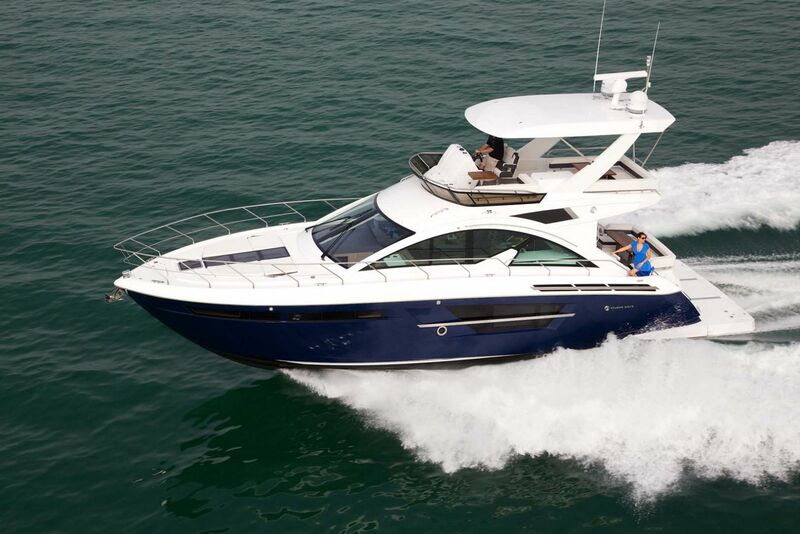 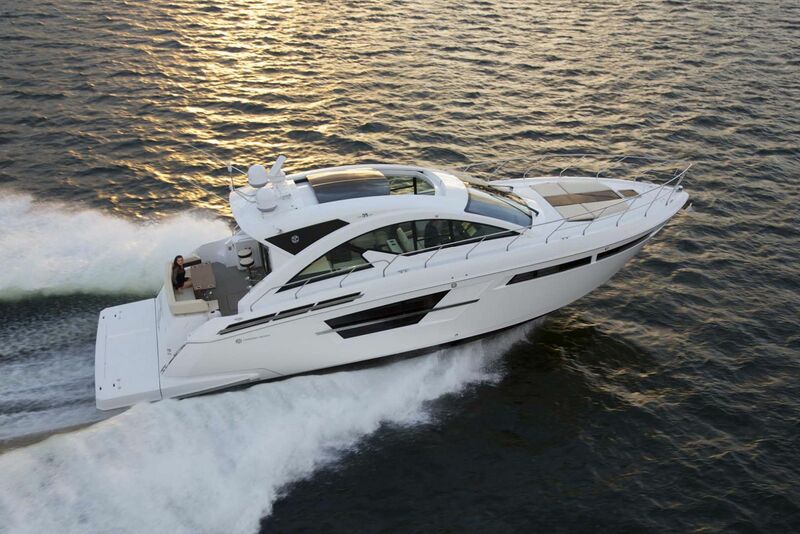 Owners and guests alike love the aft cockpit of the 60 Cantius and it is the focal point of socializing on the boat. 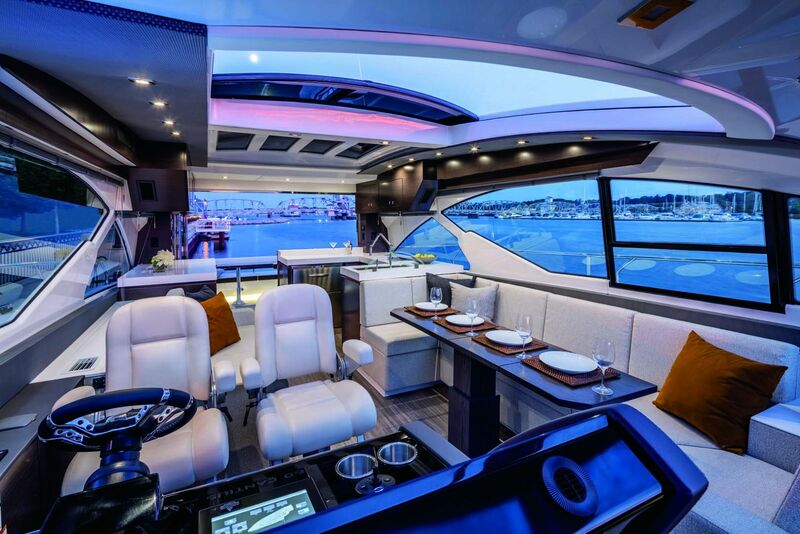 The U-shaped loung and outside dining table with built-in cup holders is a perfect spot to enjoy the view. 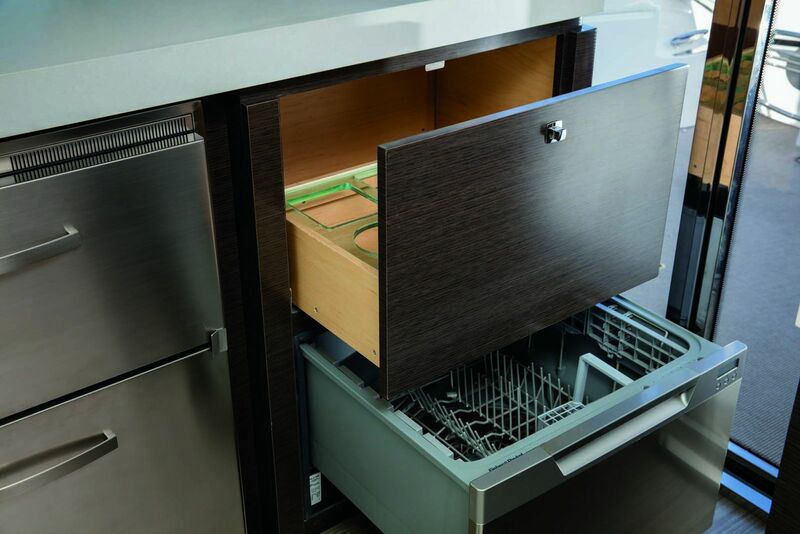 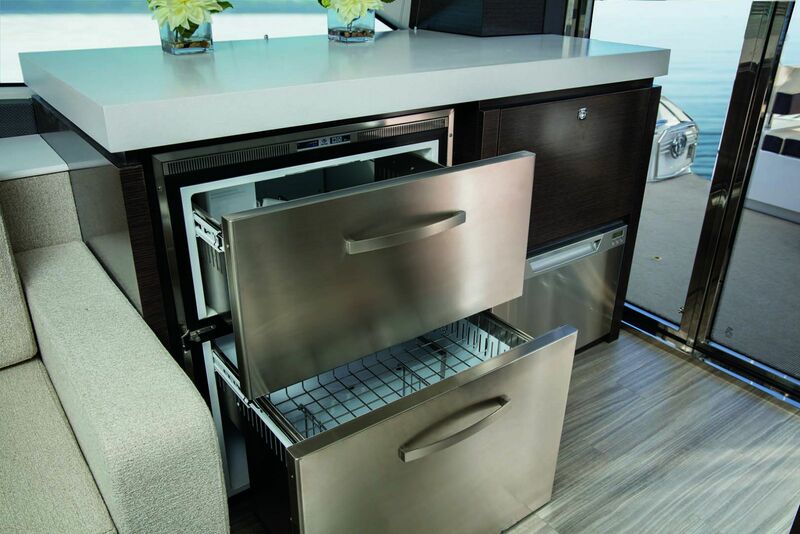 Two bar stools and the fold-down bar with the powered aft cockpit window make service drinks and food convenient from the galley. 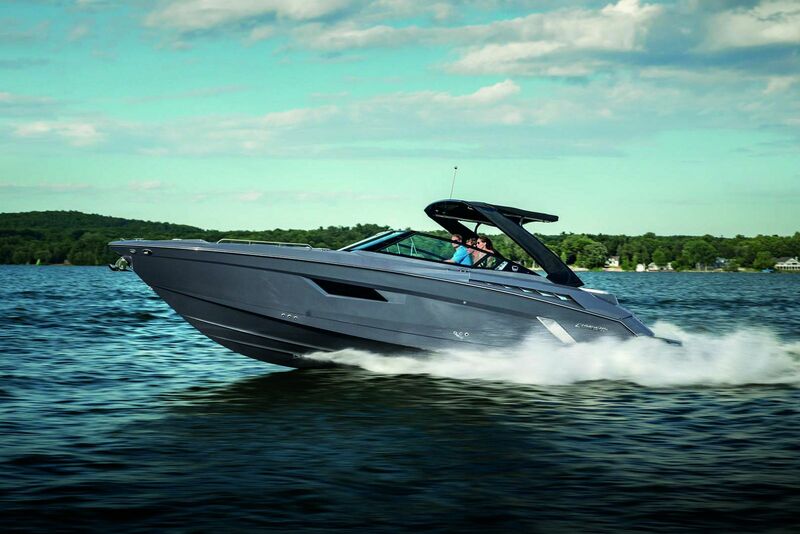 The bow of the Cruisers 60 Cantius is charging ahead on its path to adventure and it's taking you with it. 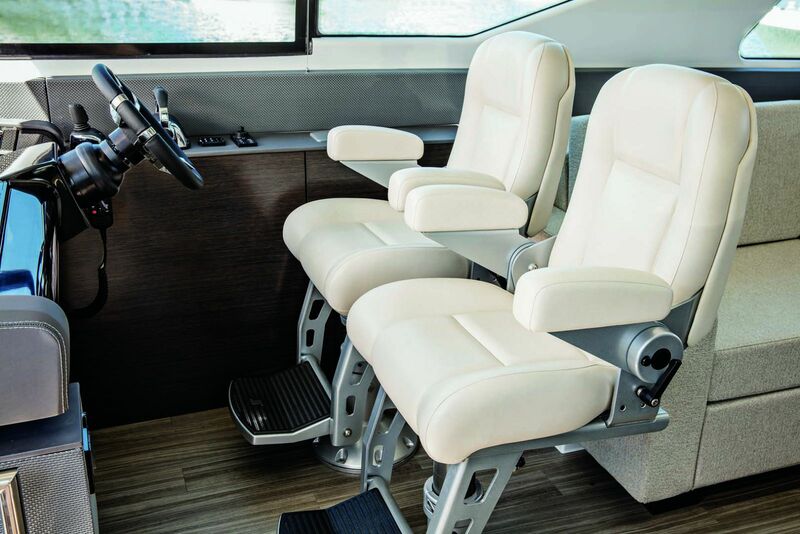 Designed with comfort and luxury in mind, and refusing to compromise on either, the bow is arguably the best seat on the ship. 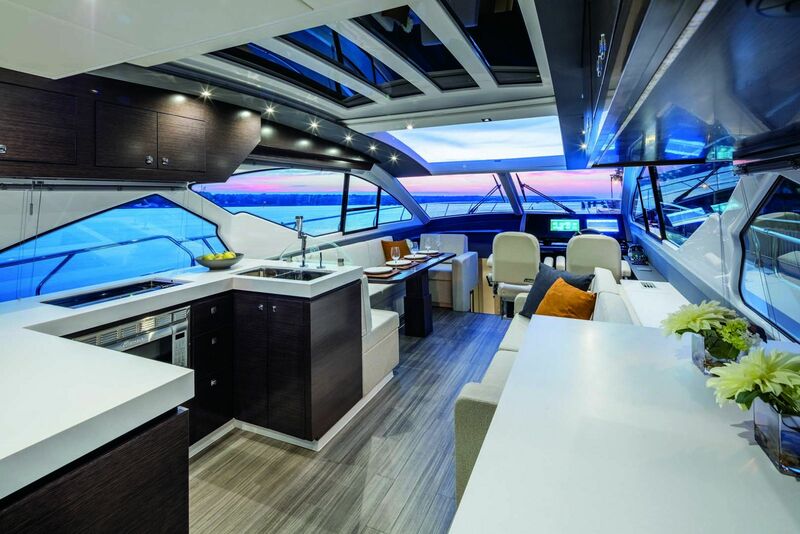 Ideal for morning coffees and conversation, the bow lounge features a comfy crescent lounge area as well as two reclining sun pads to lounge while at anchor or enjoy the wind while cruising. 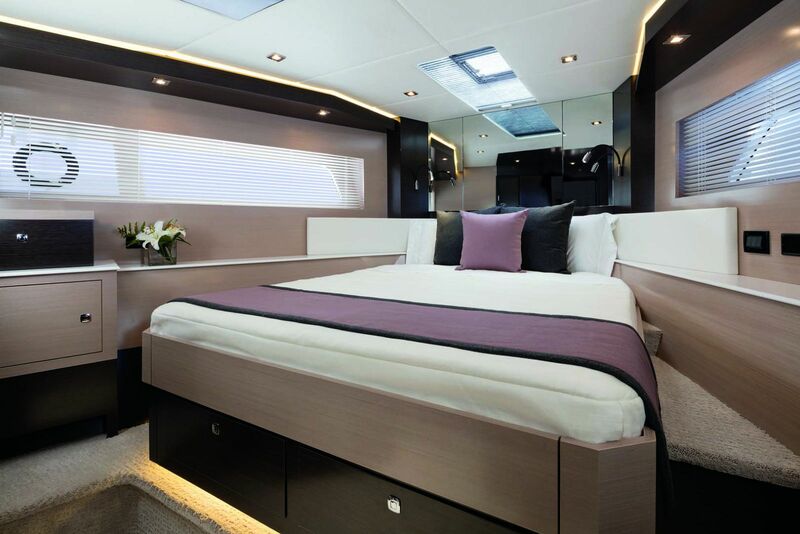 Enjoy a canopy overhead if shade is desired for the ultimate napping spot. 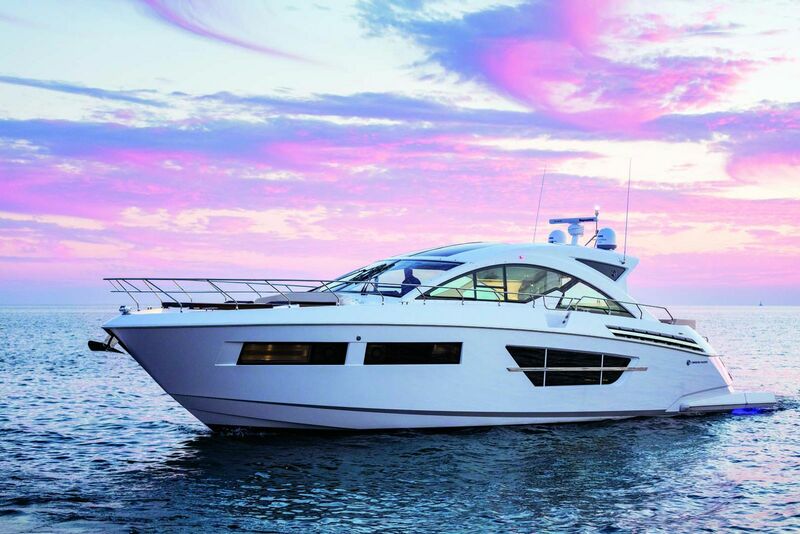 Accommodations on board the Cruisers 60 Cantius feature two large en suite staterooms and a lower salon, however owners have the option of choosing a third stateroom which can be readily added. 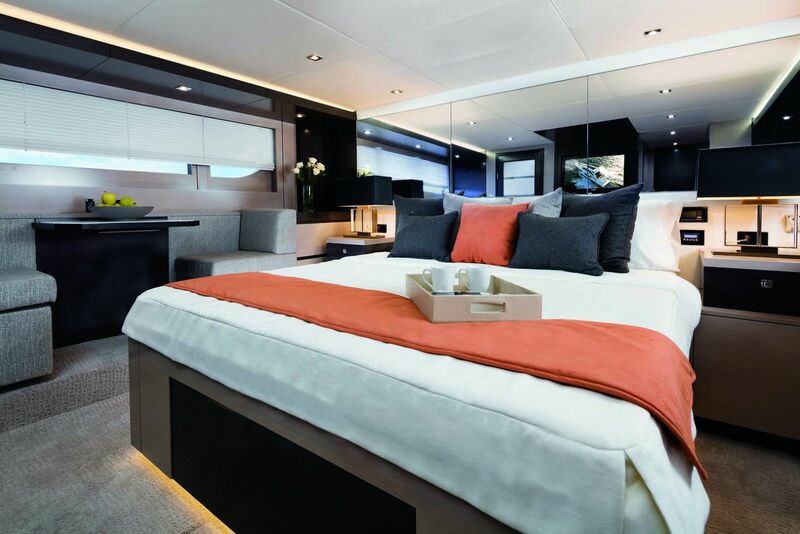 The master stateroom is nothing short of luxurious and offers the perfect hideaway to rejuvenate after a long day in the sun. 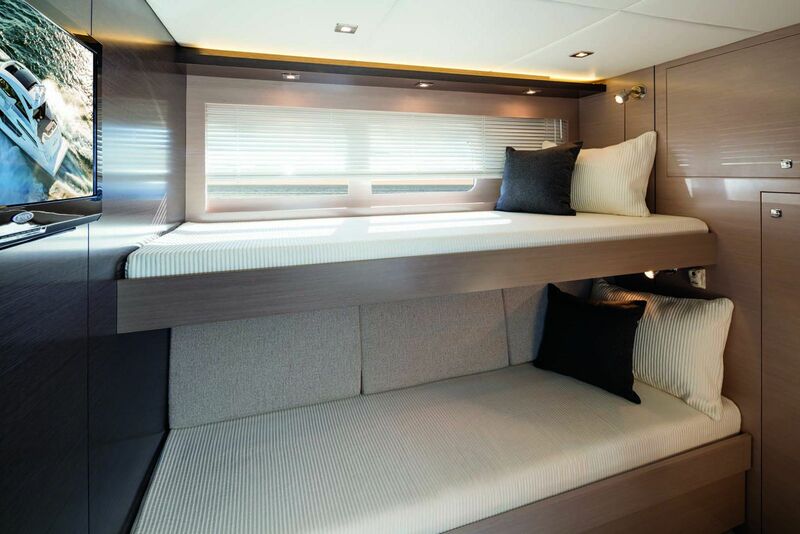 The king-sized berth still has plenty of room around it for nightstands, walking room, two seats and a table, and lots of storage. 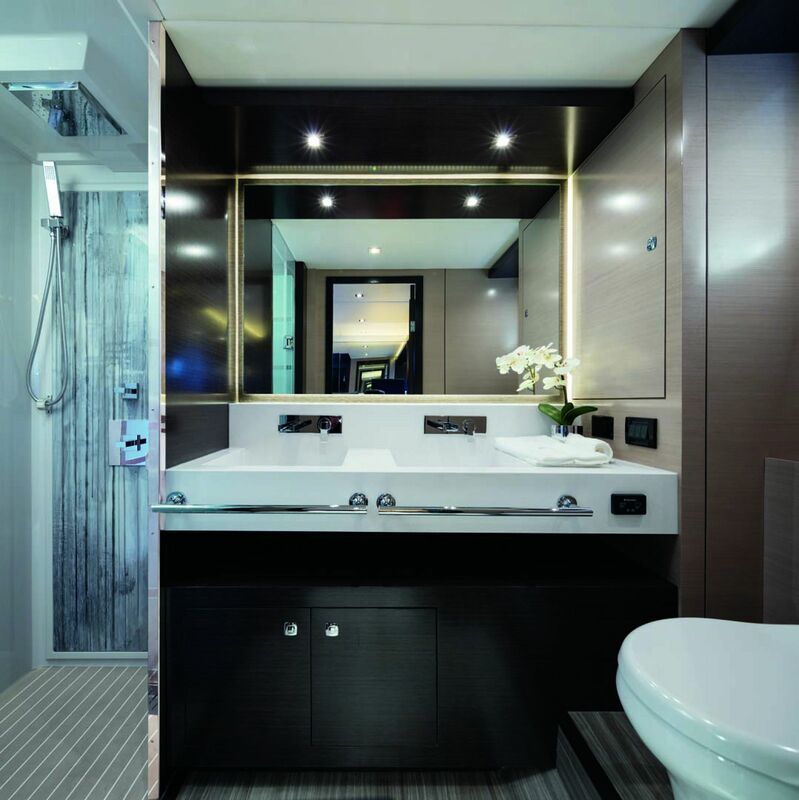 The master head has a double shower and his and hers sinks. 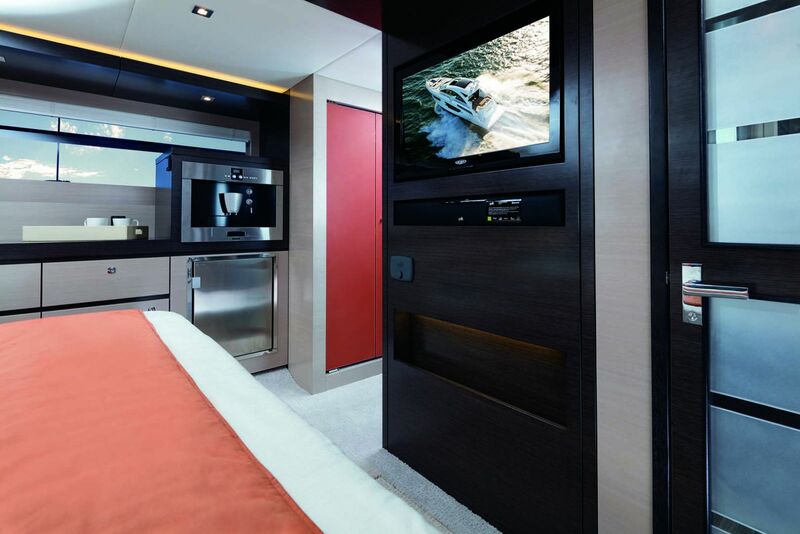 The VIP stateroom is almost as large as the master and features maximum sound and distance privacy while also being very comfortable with lots of storage space. 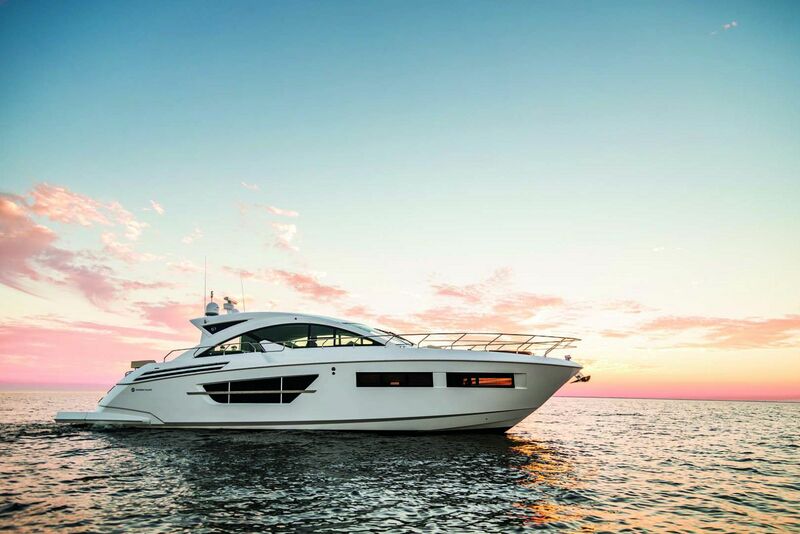 To hear more about the Cruisers Yachts 60 Cantius, please contact your SI Yachts Sales Professional today. 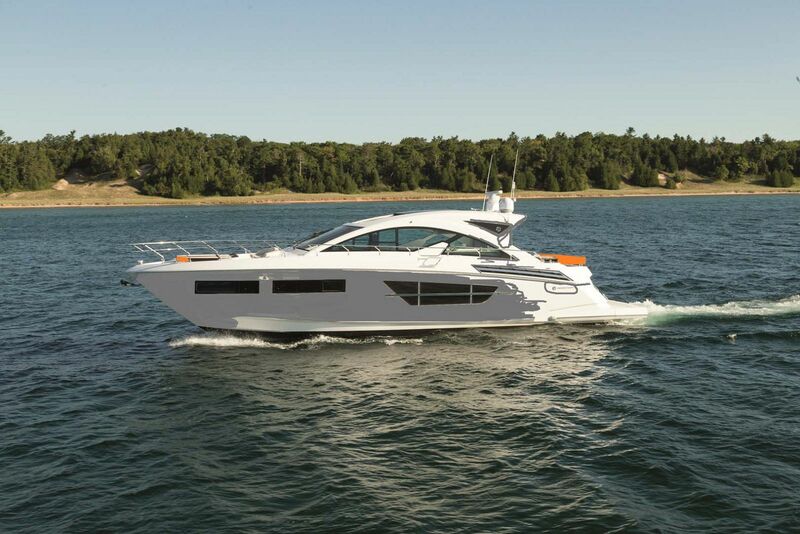 BoatTest.com reviews the Cruisers 60 Cantius Express Yacht version. 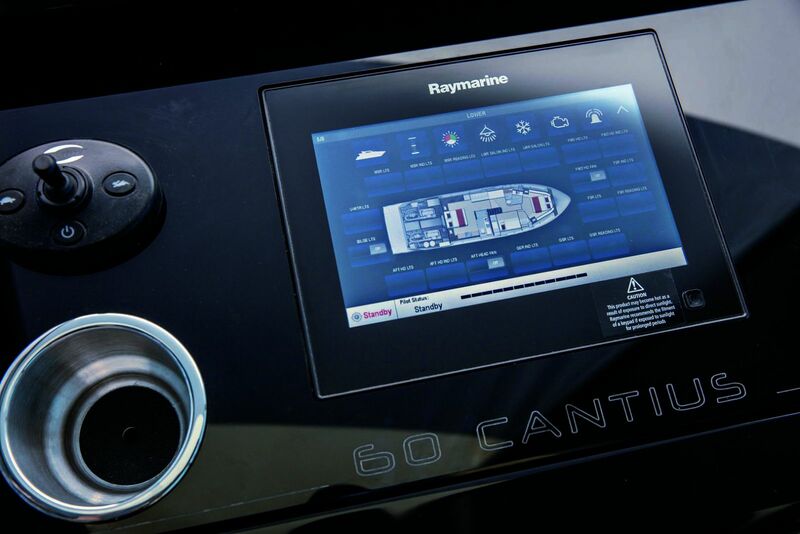 Cruisers Yachts released this walkthrough video on the 60 Cantius Flybridge. 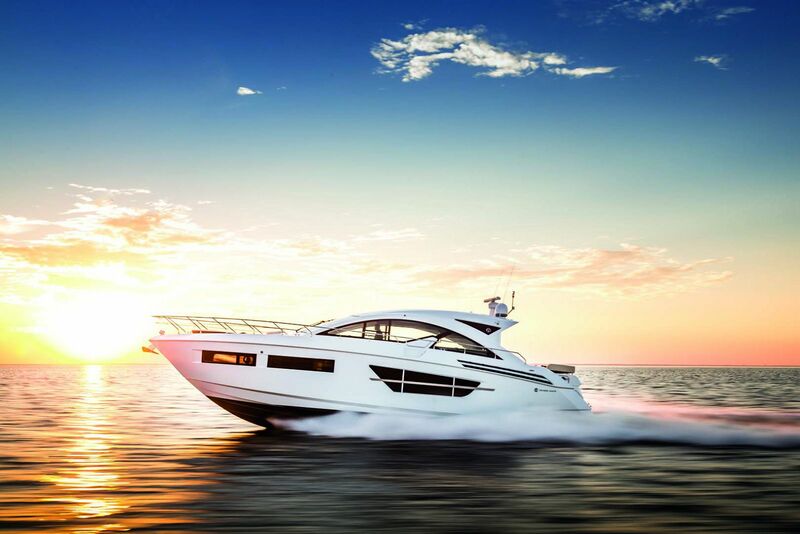 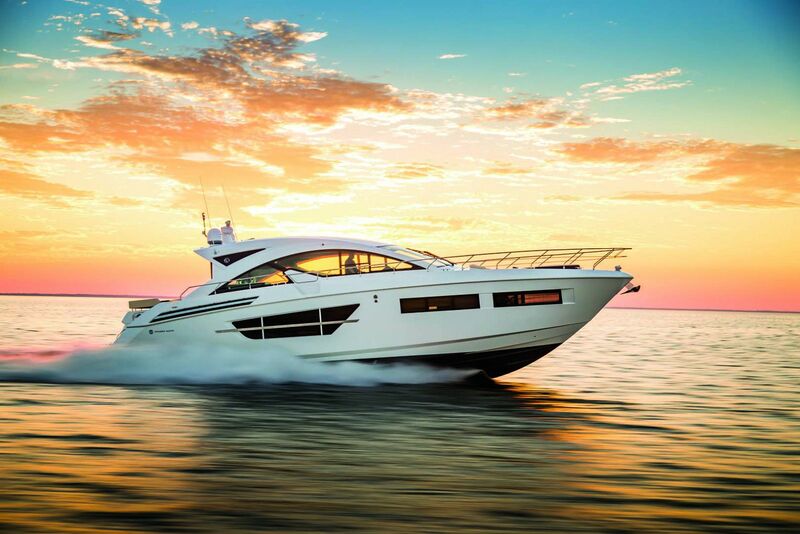 Power & Motor Yacht magazine reviews the Cruisers Yachts 60 Cantius. 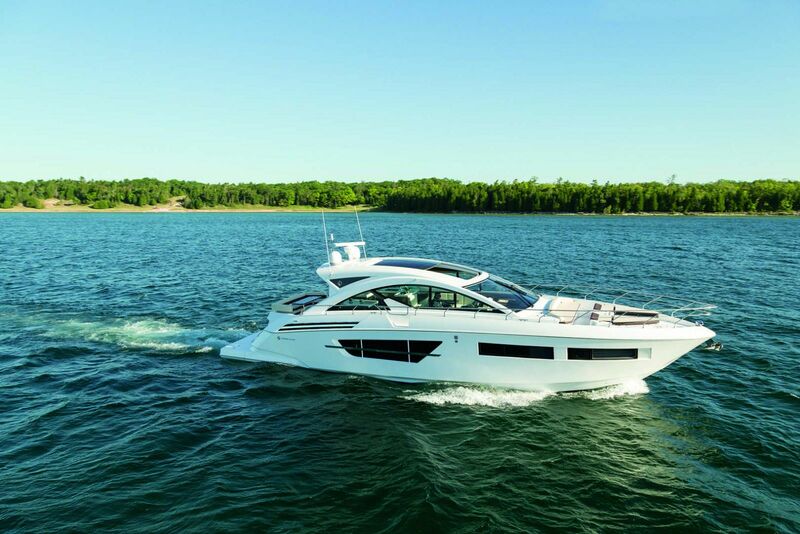 Cruisers Yachts released this video walkthrough of the 60 Cantius.